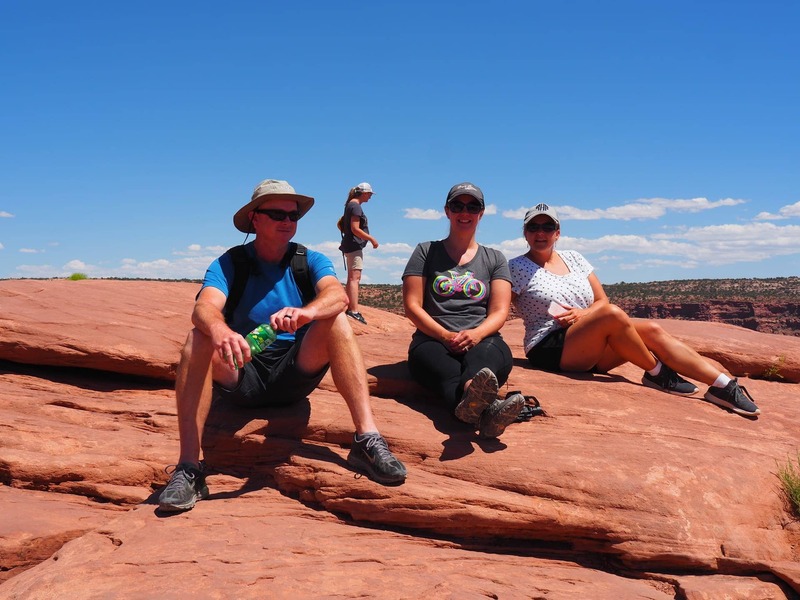 One of my oldest friends and her husband were meeting us in Moab. Renee and Keith flew into Colorado to visit her family earlier in the week. 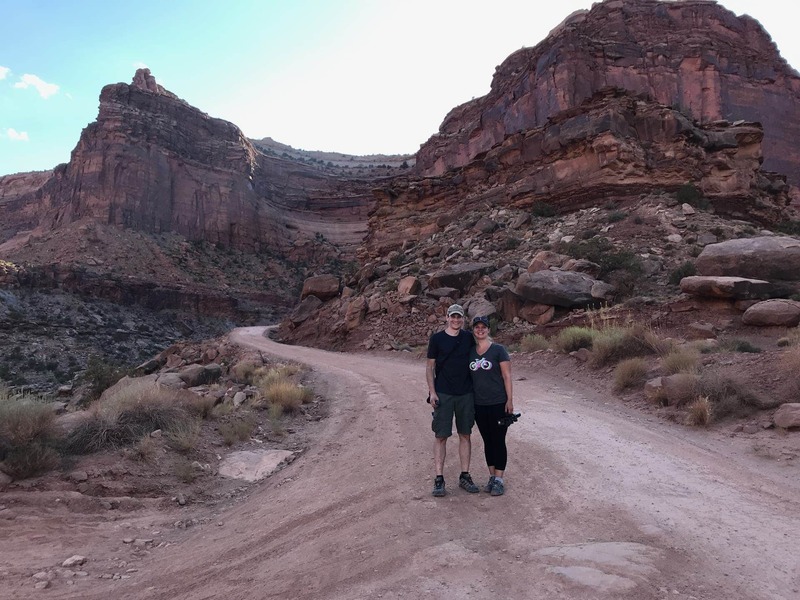 They were meeting us today, spending two nights in Moab and then traveling back to Pleasant Grove to stay with us for a few days before flying out of Salt Lake City. I was so excited to spend this time with them, hear about their trip thus far and explore together. Renee and I have known each other since she moved near my family about 25 years ago. We rode the school bus together in middle school and were best friends before high school. We had an apartment together while in college where we both studied education. Renee and I have traveled together for many years. Her mom took us to Chicago before we could even drive, we’ve spent time in Massachusetts, West Virginia, New York, Arizona, Canada, etc. We even did a study abroad program together in college. We spent 6 weeks in England and travelled to the surrounding areas. Several years later we ended up living just down the street from one another. I remember spending evenings at her house when her oldest son was born and walking through the snow to visit when our town was snowed in. There really are just too many memories to name! We’ve each had our share of highs and lows in life and always connect during the most important times. We have inside jokes and adventures that bond us like family. 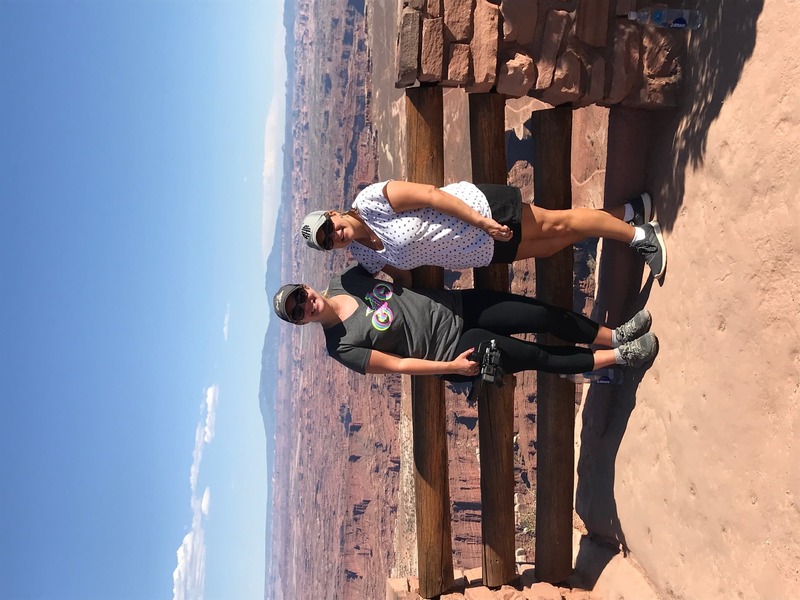 Canyonlands National Park was the first stop of the day. It’s a 40 minute drive from the hotel so we had plenty of time to start catching up. We also shared with them the plan for the day. I had organized this part of the trip so they really didn’t know much about what we’d be doing over the next three days. 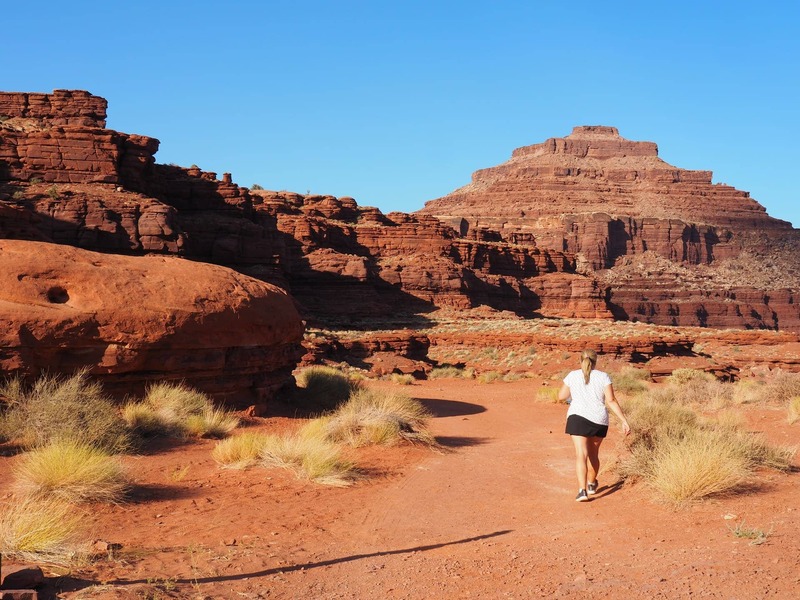 Canyonlands is an enormous park that is divided into sections. 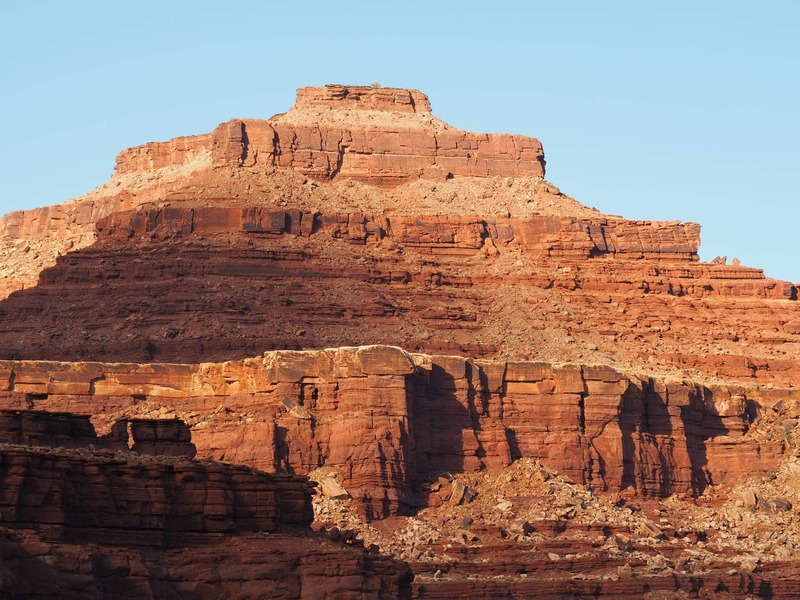 Island in the Sky is the section you enter near Moab. The first stop is a small visitor center. 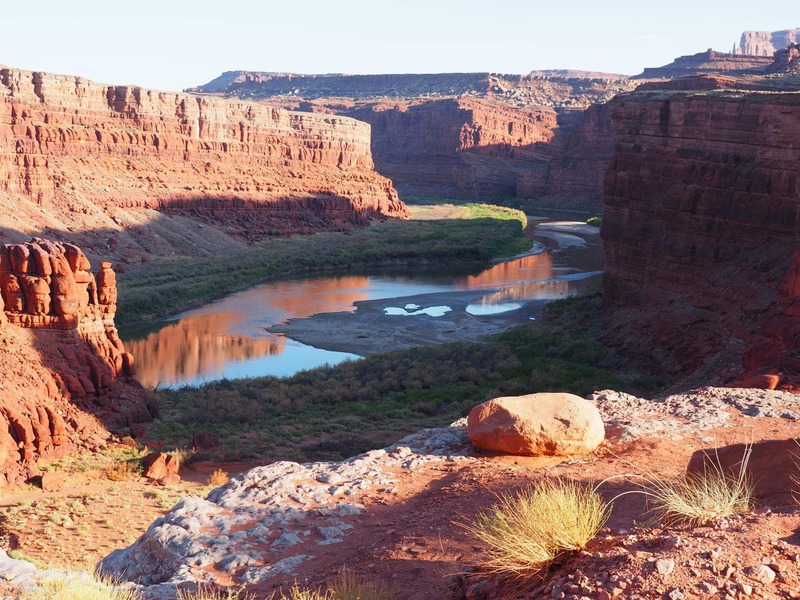 The viewpoint across the street gives you your first look into the canyon and the landscape here is picturesque. 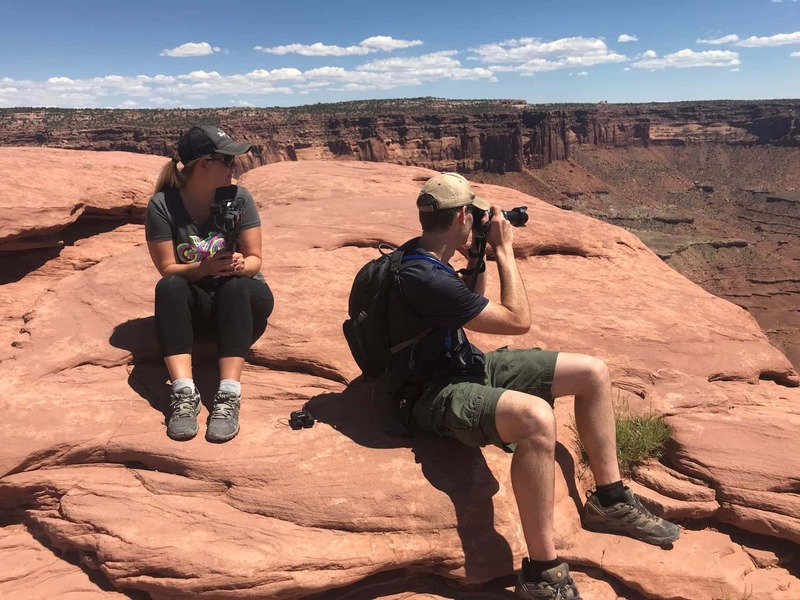 We spent the next several hours stopping at the viewpoints and exploring the park. 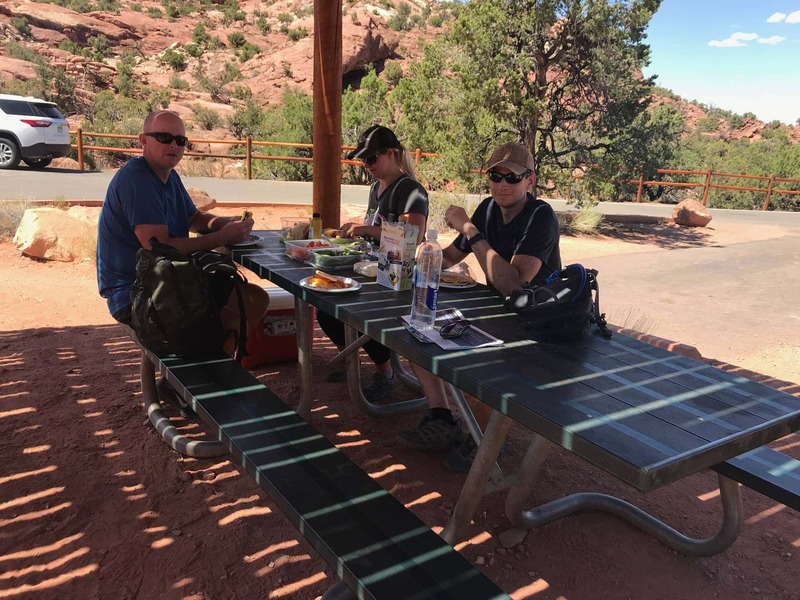 We stopped for a picnic lunch at Upheaval Dome and then headed back towards the entrance of the park to drive down into the canyon via The Shafer Trail. 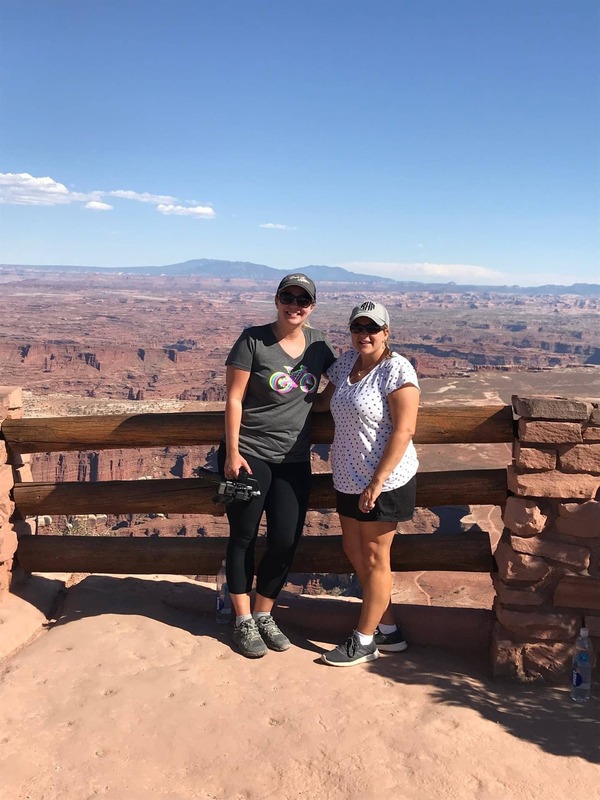 The landscape is unreal in Canyonlands! Just relaxing on some enormous rocks! 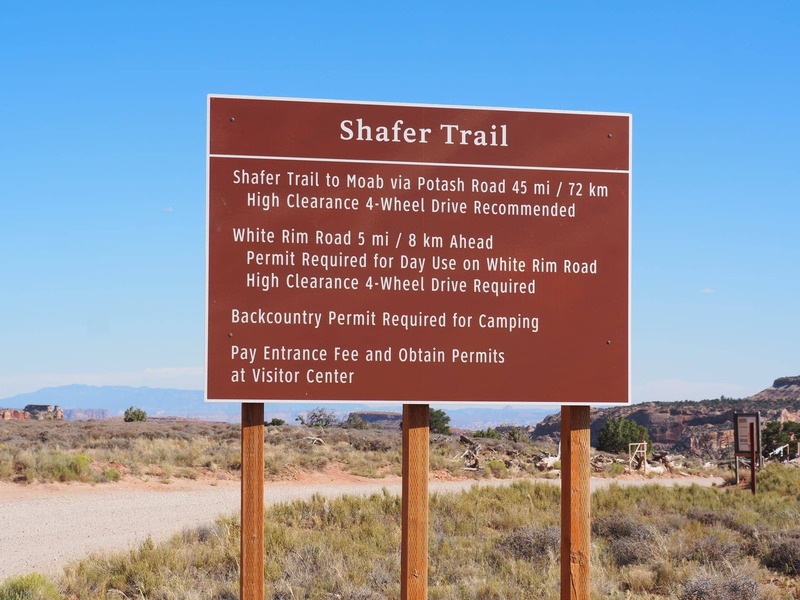 Keith and I knew from the first time we got a glimpse of The Shafer Trail that we wanted to drive it. 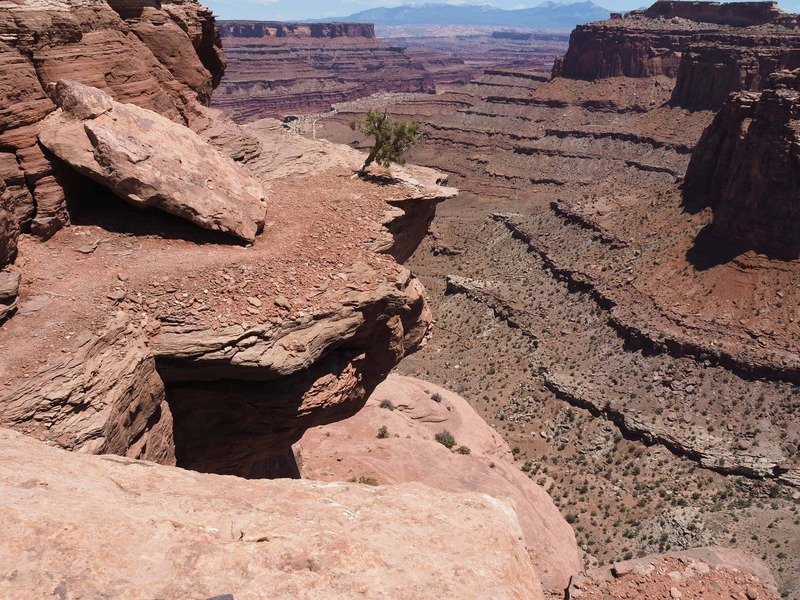 You can view the switchbacks from some of the viewpoints in Canyonlands. While researching the drive, we came across conflicting information. After looking into it more and reading a significant number of reports, we were pretty much prepared for any conditions along the way. We also had thought through what we would do if there was a breakdown or an emergency. 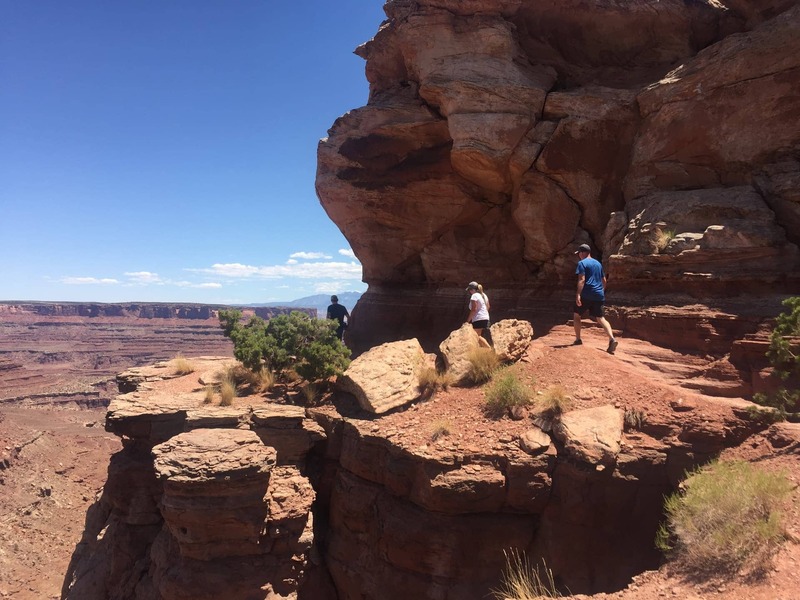 We found information online and ran into conflicting reports of information for the trail. 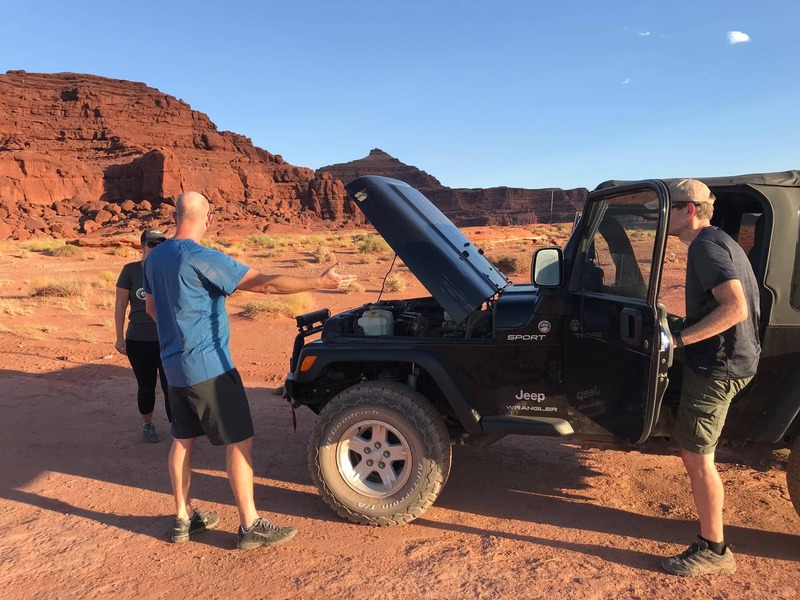 The distance ranged from 15-30 miles, the difficulty of the terrain also varied as some said they drove it in a car and others said 4×4 was necessary. 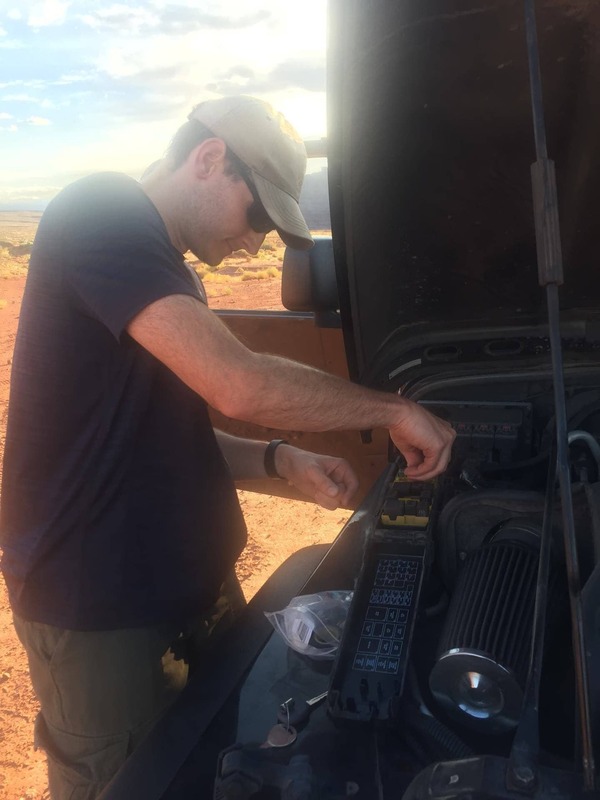 We are still learning how trails are rated, but know that if we read enough online we should have enough knowledge to make the drive, or know when to safely turn back. We’ve found, that it’s all in the details. If you read enough, you’ll learn what to expect and what to prepare for. For example, we were able to figure out why there were so many reported distances. Some were measuring the distance to include the trail and adjoining backroads before you reach a main road, some measured from main road to main road, some only measure the switchbacks as they went down and then turned around and came back up, etc. Keith and I were so excited to check this off the bucket list and thrilled that Keith and Renee wanted to do this with us. We started at the top of the switchbacks and went down into the canyon. The road in the area of the switchbacks was graded nicely. Our jeep, lifted with the tires disconnected, provided us with a pretty smooth ride. 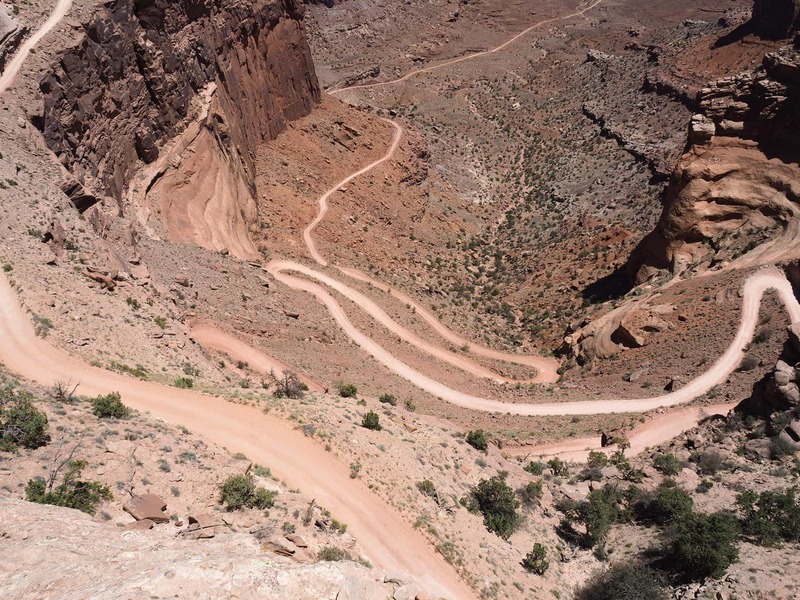 The main switchbacks lasted about 3-4 miles and you get various views of the canyon. 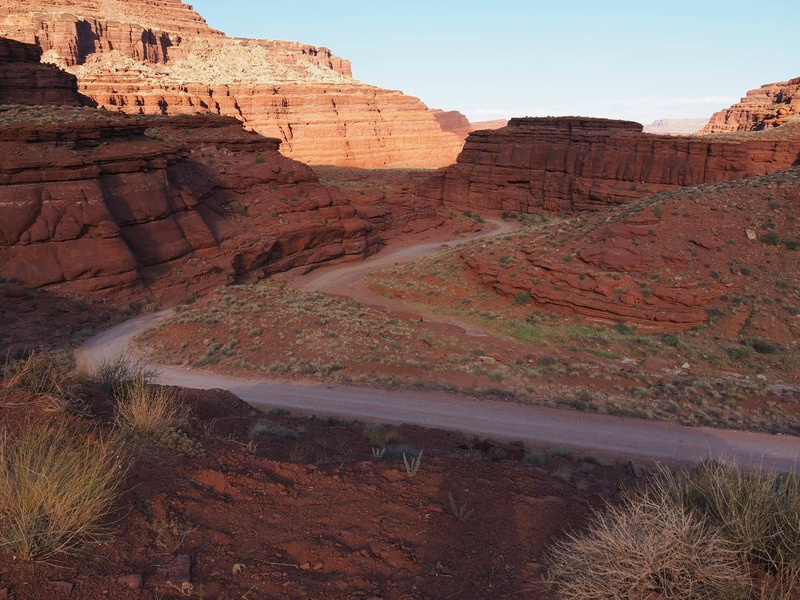 We continued along the 40+ mile road to Moab. The landscape was surreal and it was peaceful being out there nearly all alone. We saw 4 other vehicles along the route. For the most part, the road was in very good shape. There were a few ruts and washouts to pass, but just going slow and picking the best path made it easy. We stopped a few times along the road to get out, look around, take pictures and stretch our legs. 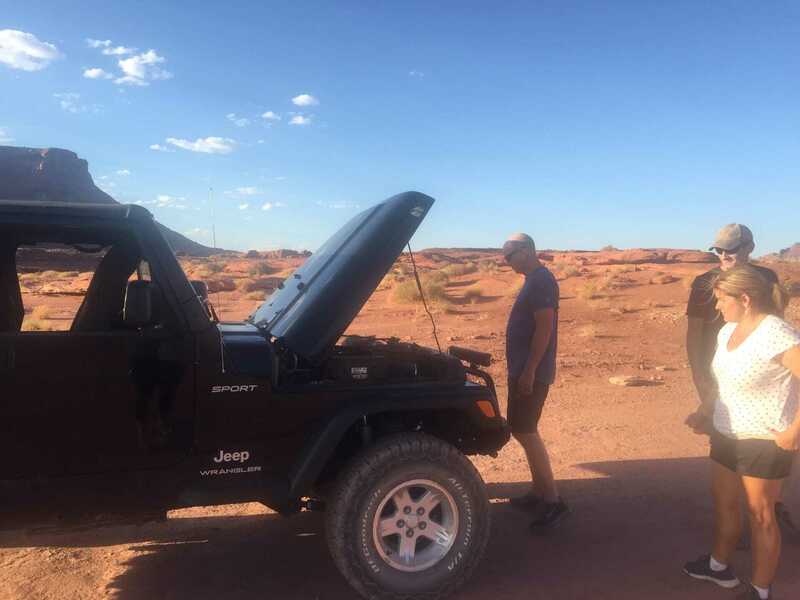 We had been driving for a few hours when all of the sudden the jeep just stopped! 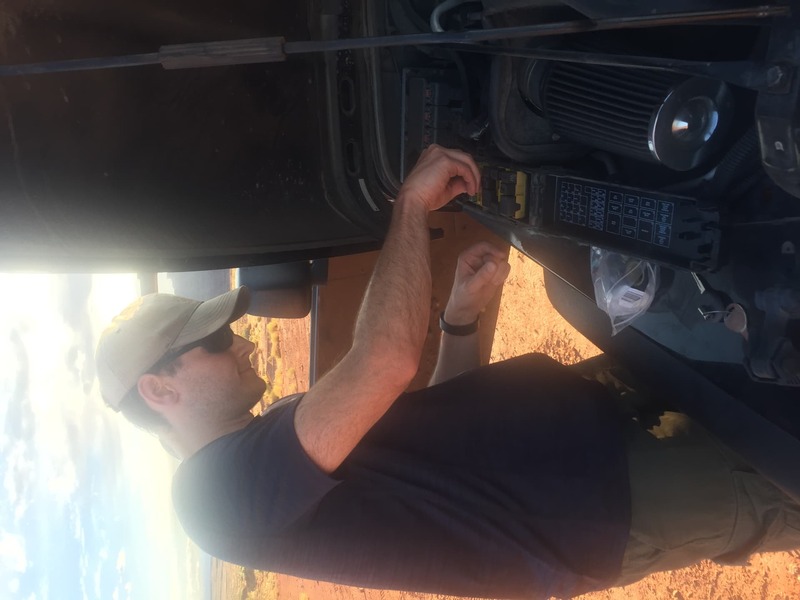 We always carry a small tool kit in the jeep for emergencies and we try to keep track of the nearest place for help. When we stopped, Keith knew that it was about 12 miles back to the start of the trail. 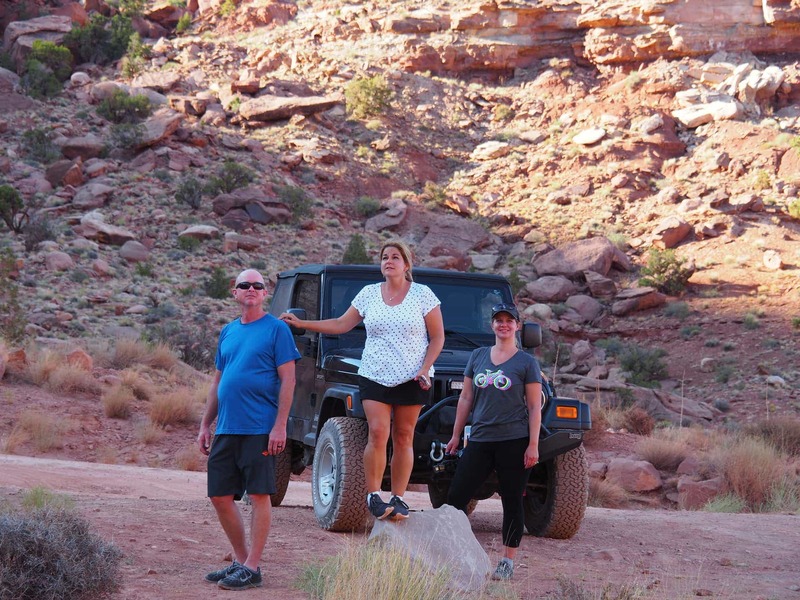 Had we needed to go for help, this would have been closer than the 30+ plus miles to Moab…. 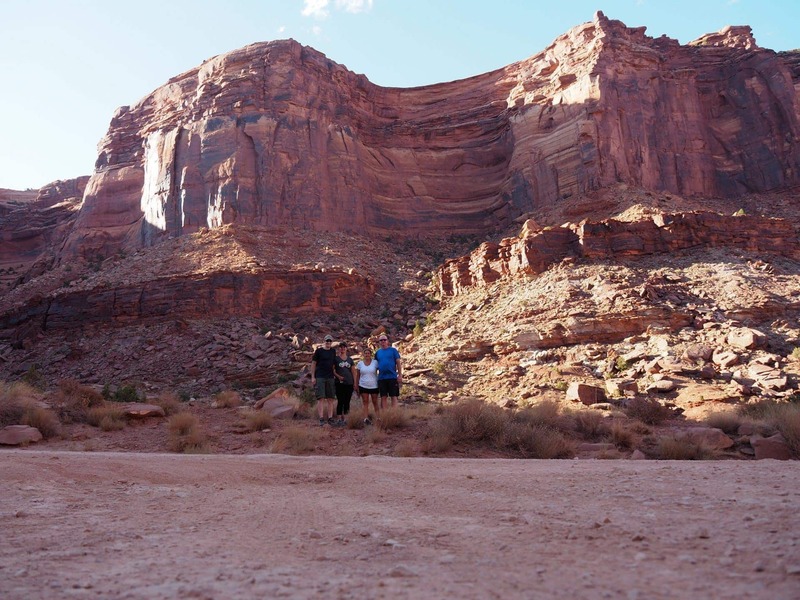 you also have to consider the terrain and where you might find another person most likely. Luckily, we didn’t have to think too much about that. 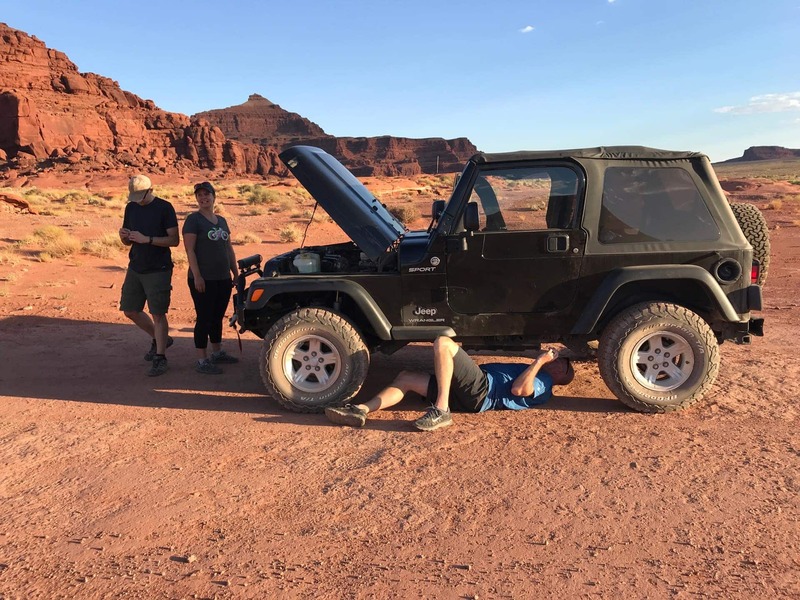 Keith and Keith looked over the jeep and tried to diagnose the problem. They were stumped for just a bit and then discovered that we’d blown a fuse. Thankfully this was one of the items in our emergency kit. We were back on the road in no time! The first step is always to stand and stare! The second step is to try your options. As the sun began to set, we were once again in awe of the landscape around us. The light began to reflect off the red rock and highlight areas we may not have noticed otherwise. 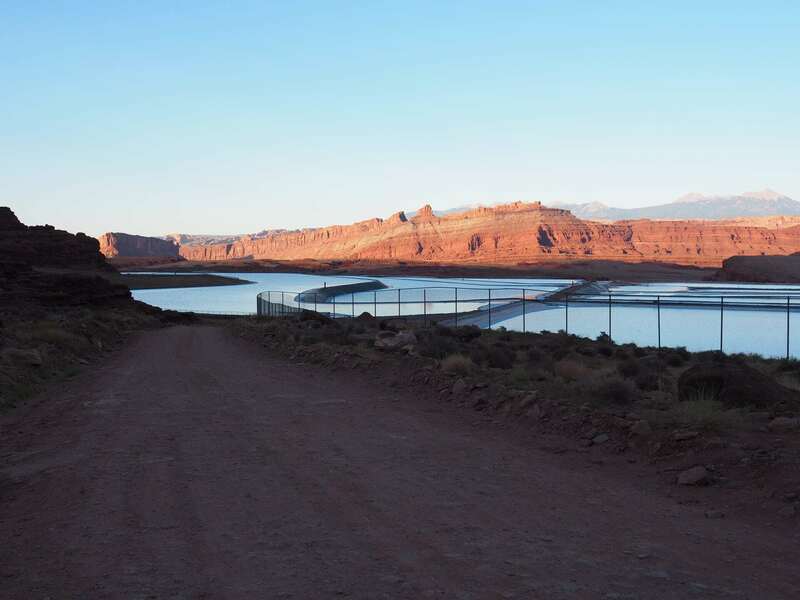 We drove along the gooseneck of the Colorado River, past the Potash ponds and under Dead Horse Point. The drive was full of excitement yet, calming. Everyone really enjoyed this special way to end the day. By the time we arrived back to Highway 191, it was getting late and we were starving. We headed right into town for some dinner at one of our favorite restaurants, The Spoke on Center. Research the trail to see if you are prepared to drive it. Take extra water and food. Pay attention to others who might be on the road; trucks, jeeps, mountain bikes, etc. Many places the road is safest for only one vehicles at a time. Go slowly over ruts and through washouts. Pay attention to where your nearest point of contact might be in the event of an emergency- cell service is VERY limited. Have fun! Stop and enjoy the nature around you and take lots of pictures!